CDC, Healthy Pets, Healthy People. Hantaviruses continue to be isolated from a variety of rodents throughout the United States, including those which exist in close proximity to human populations. Hantavirus Pulmonary Syndrome (HPS) is a relatively rare disease. The incubation period ranges from 1 to 3 weeks, and initial symptoms include fever, muscle aches, and feeling tired. After about 4-10 days, people with HPS develop a cough and shortness of breath. It is important to seek treatment quickly if HPS infection is suspected. Despite the lack of evidence of human infection in south Dade County, the presence of Black Creek Canal Virus in native rodents and confirmation of an association between hantavirus infection and acute renal insufficiency continues to be of concern. Activities such as cleaning barns, sheds or abandoned dwellings, disturbing rodent inhabited areas while hiking or camping or working in enclosed spaces that have been infested with rodents may pose a risk of infection. Persons associated with such situations should avoid inhaling dust and otherwise follow CDC prevention recommendations. In October 1993, a resident of south Dade County, Florida was hospitalized with Hantavirus Pulmonary Syndrome HPS including renal involvement. During the investigation of this case, a previously unknown hantavirus, Black Creek Canal Virus, was isolated from cotton rats (Sigmodon hispidus), a rodent commonly found in residential areas throughout the state. 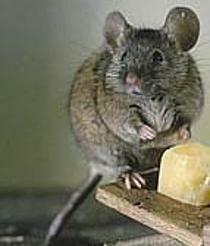 Between August and December 1994, the Florida Department of Health and Rehabilitative Services (HRS) and the U.S. Public Health Service, Centers for Disease Control and Prevention (CDC) attempted to better define the scope of hantavirus activity in rodents and at-risk human populations in south Dade County. Small mammal trapping indicated the presence of antihantaviral antibodies in 13% of cotton rats. Intensified surveillance at selected hospitals for patients admitting with HPS symptoms and renal involvement has not detected any new cases since the initial one in 1993. Khan, AS et al. Hantavirus pulmonary syndrome in Florida: association with the newly identified Black Creek Canal virus. Am J Med. 1996 Jan;100(1):46-8.